North Texas includes the Dallas-Fort Worth metropolitan area, and falls into zone 7 of the USDA Plant Hardiness Zone Map. Temperatures in North Texas may dip to a minimum of 5 degrees Fahrenheit during the winter, but summers are hot and often humid. Trees native to this area can handle many climate conditions, including drought, heavy rains, heat and cold. Native trees will do most of their growing between spring and fall. Live oak (Quercus virginiana) is a stately and long-lived tree that is well-known throughout the South, but grows well in north Texas, where it may lose its leaves in fall. The live oak can grow to 80 feet and can spread up to twice as wide as the tree is tall. A host for Spanish Moss, live oak has shiny, dark leaves and produces a short, yellow cattail of flowers in spring, followed by acorns in the fall. The tree needs lots of space, prefers full sun and requires moderate water. While soil pH is not an issue with this tree, it should be planted in well-draining soil. One of several ash trees that are native to North Texas, the Texas ash (Fraxinus texensis) is a fast-growing, medium-sized tree that performs well in a yard landscape and provides good shelter. The Texas ash is drought resistant and can withstand the hot summers and cold winters of North Texas. This tree can grow to 50 feet with a 40-foot spread, produces green or purple flowers in spring, and its leaves may turn gold, orange or purple before dropping in the fall. Texas ash should be planted in full to partial sun and is not fussy about soil. Honey mesquite (Prosopis glandulosa) is grown throughout the state and fares well in North Texas. This tree has thin, drooping branches with stiff, long, narrow leaves. Honey mesquite, which can grow to 30 feet, produces a small, cream-colored bloom on a cattail from spring to fall. The bloom, while very fragrant, may also exacerbate allergies in some people. The wood of this tree is popular for making furniture and is often used in grilling to infuse flavor into meats. 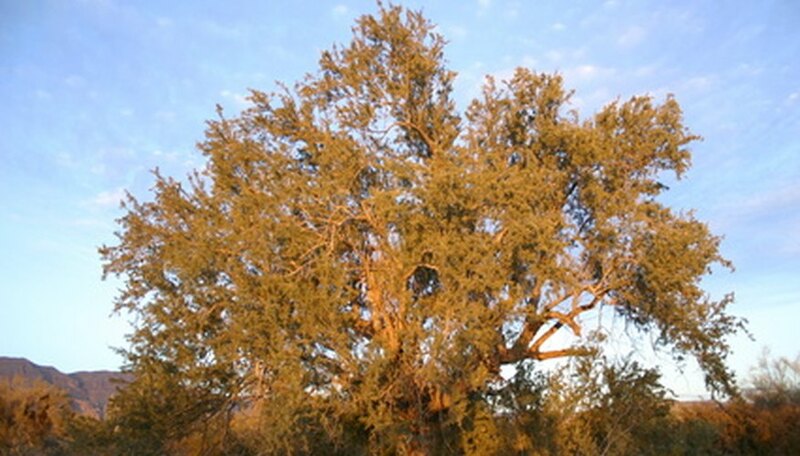 The honey mesquite prefers full sun, is nearly drought tolerant and is not fussy about soil. What Nut Trees Grow Well in South Mississippi?